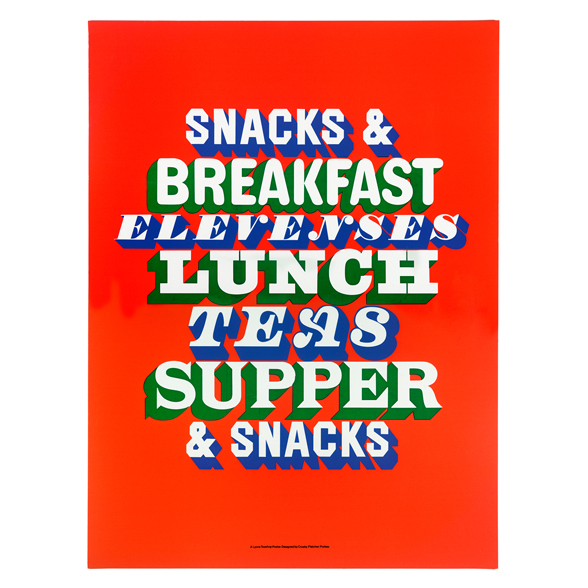 These posters were designed as an inexpensive way of enlivening the dreary interiors of the Lyon’s chain of teashops. 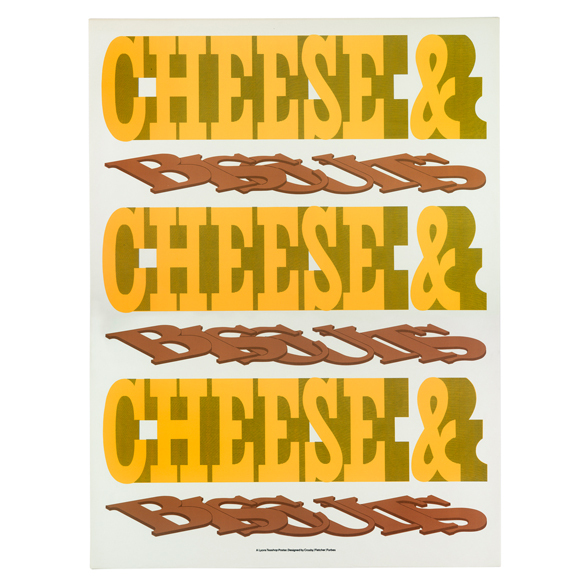 Inspired by the decorative lettering of the Lyon’s sign, Fletcher created a series of brightly coloured typographic posters dealing with the theme of food. Not only did they stimulate the appetite,they also offered culinary suggestions. The typographic sources of the posters are various. 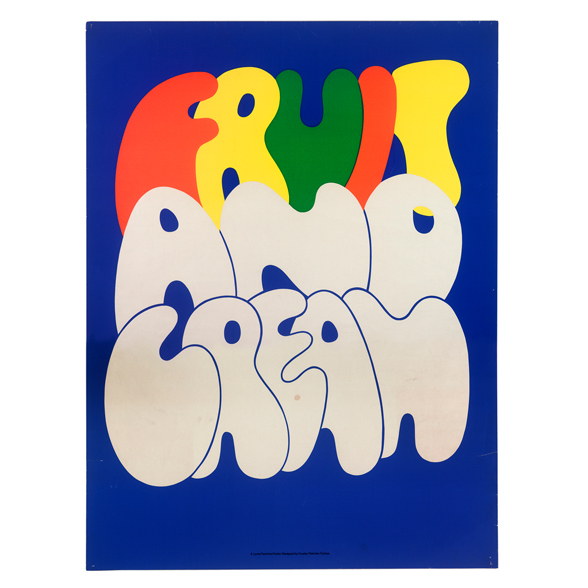 While some, such as ‘Cheese & Biscuits’ suggest that Fletcher had been rifling through nineteenth-century type catalogues, others, such as ‘Fruit & Cream’, derive from the designer’s own handwriting.